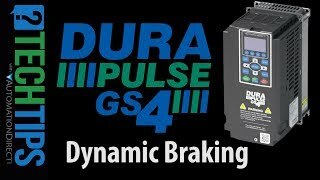 DURApulse dynamic braking unit, 230 VAC, 22 kW, IP50, built-in temperature switch. For use with DURApulse AC drives. Please download the Dynamic Braking Units User Manual at no charge. We do not offer a printed copy of this manual for purchase. Customers who bought a GS-2DBU also purchased the following items.